Dark and knobbly as a dragon’s egg, and sometimes called Alligator Pears because of their bumpy olive skin, Avocados seem to be the latest “must have” fruit. Not so long ago we were being told to avoid them as they were supposed to be bad for our health. Nowadays they are turning up in everything from salads and wraps to smoothies and even brownies. How fashions change, yet Skindulge has been using Avocado Oil in its skin creams and some soaps for over ten years now. The demand for Avocados is so strong that countries around the world are trying to grow them. These include Zimbabwe, Israel and Spain, but in spite of this, demand is outstripping supply. Peru has been given a licence to export avocados to China which will put even more pressure on world demand. Avocados are particularly rich in magnesium and potassium, even more so than bananas, strawberries and kiwis. They are a good food to eat to normalise blood pressure and lower the risk of kidney failure and heart disease. The oleic acid and dietary fibre in Avocados help normalize blood sugar levels, providing further benefits for heart health and lowering the risk of diabetes. Valuable for your body, both inside and out, when you eat Avocados you are also giving your body a lot of skin protecting antioxidants, such as beta-carotene, and vitamins C and E. Ideally, we should have many sources of vitamin C in our diet every day as it is water soluble and cannot be stored in your body. A diet high in Avocado is good for your skin, particularly your face, in the way its fatty acids moisturise and soften your skin cells. As well as having strong antioxidant properties, vitamin C is needed for the creation of elastin and collagen which bind your skin cells together and maintain their firmness and structure. The Vitamin E helps guard against photo-aging from sun exposure. The monounsaturated fats in Avocado are beneficial for improving your skin tone and appearance. They are vital for maintaining good moisture levels in the epidermal layer of your skin that make it look and feel soft and healthy. These omega-9 fats are known to assist in reducing skin redness and irritation and are involved in repairing damaged skin cells. A good dietary intake of monounsaturated fat can moderate sebum production as well, which helps control acne, blackheads and excessively oily skin. For a quick and easy skin hydration mask, mix together raw honey, yogurt and an Avocado, and then slather it on your face. This should also help stave off those cursed wrinkles. You could always eat any that is left over ! Frankincense – Not Just for Christmas! Christmas may be over for another year but that doesn’t mean that Frankincense has to be forgotten until the Christmas Story is told again. Once considered as valuable as gold and gems, Frankincense was much sought after as a perfume. Its trade was once one of the main resources of Arabic countries, and its control has provoked many local wars. The queen of Soba made a perilous journey from Somalia to visit King Solomon, just to ensure a flourishing trade of this valuable commodity. During Pagan times Frankincense was burnt as an offering to the gods Hermes and Demeter. Arabic doctors used it as a remedy for cancer, and the Chinese employed it to cure T.B. of the lymph glands, and leprosy. Interestingly, the Orientals in Levant – home of the finest tobaccos – chew the resin of frankincense, and even though they smoke, smokers cancer is relatively unknown in the area. The Egyptians also added it to their rejuvenating potions and masks, and mixed it with cinnamon to relieve aching limbs. Frankincense is one of the most beautiful and special aromatic resins. It has been used extensively in religious ceremonies and rituals for thousands of years. There are diverse grades but the best Frankincense tends to come from Somalia, Oman, and Yemen. This hardy plant can grow in the most extreme desert conditions on the planet and there is also an Indian Frankincense. Due to the current political situation in Somalia, it is quite rare and difficult to obtain, and supply can be very erratic. The trees grow wild and are harvested by nomadic peoples who have their own family `orchard` of trees. The tree is slit, similar to a rubber tree which then produces a milky white sap, collected when it has crystalised. In Oman the 1st cut or Tawquii produces the purest and most valuable resin, the major part of which is exported to perfume and cosmetic houses around the world. The 2nd and 3rd cuts made at 2 week intervals, produces a yellower resin. .Nowadays frankincense is used in medicine and for creating expensive perfumes and cosmetics – it is a particularly good fixative. It is currently undergoing research and being used therapeutically in European hospitals. Frankincense is said to smooth wrinkles and give new life to aging skin. Its astringent action certainly makes this oil an effective facial toner, and enables it to balance an oily complexion. It can also help heal wounds, ulcers and disorders which cause skin inflammation. I absolutely adore this resin and although expensive, it doesn’t come close to the price of some of the modern day “wonder oils” that are touted by cosmetic companies. A few drops can be diluted in any carrier oil and just rubbed into your skin although I must warn pregnant women against the use of any essential oil …….. just in case. Candles. Most people seem to love them. They come in all sorts of colours, shapes and aromas, floating candles and now Candle Melts. Until recently, I don’t think that anyone gave much thought to what they were made from, they just looked pretty and smelled nice, for most of the time. My own experience wasn’t good, burning one on my mantlepiece, it left a sooty mark right up the wall. Paraffin Wax candles are the most commonly burned candles worldwide yet are the most unhealthy. Just like smoking cigarettes, it is only in recent years that we have taken notice of what we are inhaling. I mean, who knew that paraffin candles, when burned, release eleven known toxins, two of which are carcinogenic. Paraffin is an inexpensive sludge waste product of the petroleum industry that has been bleached, then texturised with acrolyn, a known carcinogenic product. 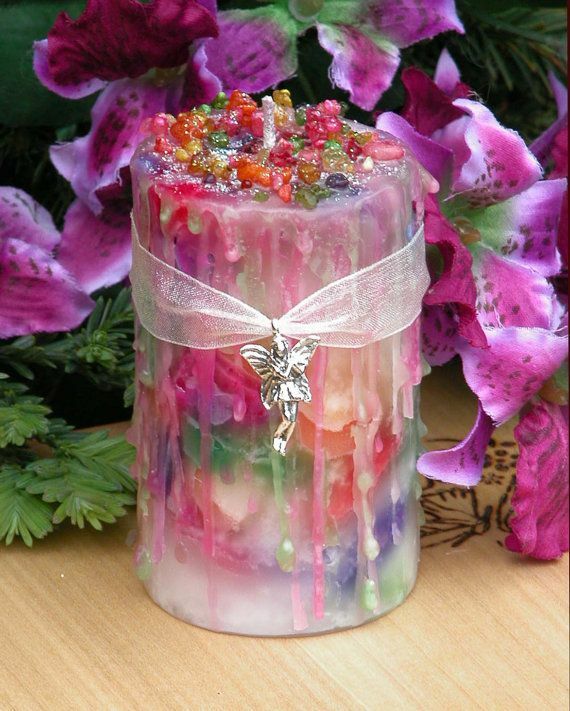 Fortunately for us all, other types of candle wax have been discovered in recent years. Soy Wax is probably the next most popular candle, as well as beeswax. The story goes that a group of University students in the U.S. developed a birthday candle using soy bean oil. Little did they know quite how much of a revolution they were making in the candle world! 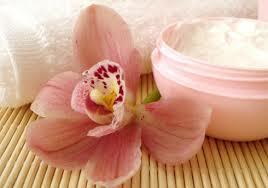 The most popular alternative to Paraffin appears to be Soy.. Almost all soy nowadays is genetically-modified, either on purpose or because it has become contaminated by nearby farms that are using GMO seed. I sometimes wonder if using soy is just giving a nod to Monsanto, whose evils I will refrain from ranting about. That having been said, I don’t think there is any physical harm from using soy candles made from GMO soy, but I would generally prefer to put my money into supporting local beekeepers above soy farming. For all the above reasons we at Skindulge are making our candles from Rapeseed Wax. Rapeseed is a completely natural and sustainable material. It has superior green credentials with no issues of intensive farming, deforestation or GMO presence. It has been grown in the UK & Europe for hundreds of years as animal feed and as a waste crop to protect and improve soil for future crops. I have listed below some reasons why I consider Rapeseed Wax candles to be the best product ………… but that is only my opinion ! Rapeseed Candles can last up to 50% longer than paraffin candles. Wax spills are easy to clean. It is very difficult to remove paraffin wax from furniture or textiles. Rapeseed wax spills can be easily cleaned up with hot soapy water. Rapeseed Candles produce less soot. Soot should be avoided because it is very unhealthy and can eventually mark or stain furniture and walls. They produce about 90% less soot than paraffin candles. Rapeseed Candles distribute more fragrance. The incorporation of Rapeseed Oil lowers the melting point of the candle which means cooler burning candles and faster scent dispersion. The lower melting point of Rapeseed results in a liquid wax pool around the candle wick. It is from this liquid wax pool that the essential oils evaporate into the atmosphere. Indulge Yourself – You’re Worth It! I bet you are wondering what is meant by “Skindulge”! Skindulge is a name I thought up about ten years ago and have clung on to like crazy. It started off by being a title for the face creams and soaps I was making at the time and which I still make. I care passionately about what goes into the potions that we put on our hair and skin as well as on our gardens, in our seas and what we do with our landscapes. A quick stroll through any cosmetics department will reveal aisle after aisle of luxurious and expensive skin care products. It’s very easy to be seduced by the packaging and beautiful displays, especially with all the media hype that many commercial skin care lines receive. Sure, they look great on the shelves – but have you ever taken the time to read the list of ingredients stretched across the product packaging? I won’t bore you by listing here all these chemicals but I would urge you to start to take a more pro-active approach to your skin care choices by resisting the seduction marketing of commercial skin care products and educating yourself about the potential dangers of your favourite skin care brands. The fact is, much of what we place on our skin is absorbed into our bloodstream. Just think about nicotine and birth control patches. The task of scrutinising every ingredient in the bevy of daily products the average consumer uses can be daunting. It can get so overwhelming to constantly worry about each ingredient in every product that we just want to forget the whole thing …. so …. go home and have a go at making your own! It’s easier than you think, and you get to choose what goes into your creams and lotions!